(NaturalNews) It is well established that the U.S. Centers for Disease Control and Prevention (CDC) dramatically inflates the numbers of people who are killed each year by the flu, seemingly in order to push the influenza vaccine. But in its haste to promote vaccination, the CDC may be overlooking a potentially major contributor to not only rates of influenza infection, but to actual deaths from respiratory infections: vitamin D deficiency. According to the CDC, 36,000 people are killed by the flu each year in the United States alone. Yet this often-cited number actually lumps deaths related to influenza and deaths from pneumonia together into a single category, which leads to dramatic exaggeration of the risk that the flu actually poses. According to the CDC itself, "only 8.5% of all pneumonia and influenza deaths [are] influenza-related," which would drop the number to closer to 3,000. But all evidence suggests that this is still a gross exaggeration. According to death certificate data collected by the National Vital Statistics System, the year 2010 had only 500 flu-attributed deaths. And according to numerous studies from respected journals such as The BMJ (British Medical Journal) and the American Journal of Public Health, even these figures are probably inflated. That's because most cases of the flu are diagnosed based on symptoms, rather than on laboratory tests -- even though many non-influenza infections produce flu-like symptoms. For example, only 18 of the 257 "influenza" deaths in 2001 were laboratory-confirmed. Dr. Glen Nowak, associate director for communications at the CDC's National Immunization Program, admits that the agency has deliberately inflated the risk of the flu in its public statements and education campaigns. This decision was made in 2003, he says, in order to boost vaccination rates. "The manufacturers were telling us that they weren't receiving a lot of orders for vaccine," Nowak said. "It really did look like we needed to do something to encourage people to get a flu shot." In 2004, Nowak authored a presentation outlining the CDC's new strategy. "Medical experts and public health authorities [should] publicly (e.g. via media) state concern and alarm (and predict dire outcomes) - and urge influenza vaccination," the presentation reads. According to FDA data, the flu vaccine reduces a person's chance of getting the flu by about 50 percent. Vitamin D supplements more effective than vaccines? Although influenza seems to contribute in only a minor way to pneumonia, evidence suggests that vitamin D may play a significant role in preventing both influenza and pneumonia infections. Studies have shown that people who get the flu tend to have lower vitamin D levels than people who do not, whereas people who take vitamin D supplements lower their risk of catching the disease. Higher levels of vitamin D also seem to reduce influenza recovery time, in part by mobilizing the immune system to combat the virus. Similarly, a 2013 study from the University of Eastern Finland showed that people with the lowest vitamin D levels were 2.5 times more likely to get pneumonia than people with the highest levels. This suggests that if those people took a vitamin D supplement, they might reduce their pneumonia risk by 40 percent -- and remember that pneumonia accounts for nearly all of those 36,000 "flu" deaths cited by the CDC! 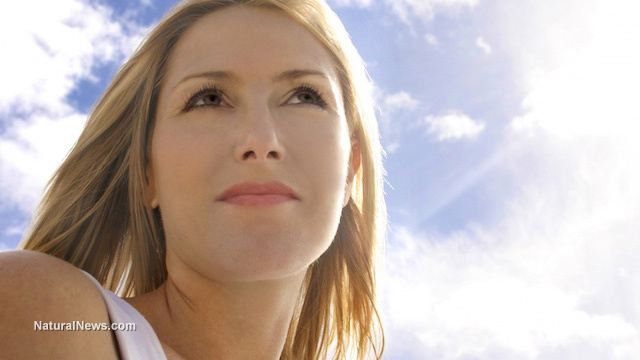 Researchers believe that vitamin D has this effect because of its important role in regulating the immune system. Notably, vitamin D levels tend to be lowest in winter months when the sun is weakest (the skin produces the vitamin upon exposure to sunlight). These are the very months when the respiratory infections that can cause pneumonia tend to be circulating, underscoring the importance of boosting vitamin D levels in those months.